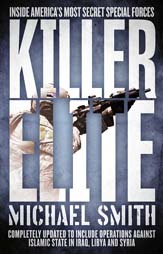 Michael Smith is the number one best-selling author of a wide variety of books on spies and special forces. He served in British military intelligence before becoming an award-winning journalist, working for the BBC, the Daily Telegraph and the Sunday Times. "A powerful debut full of fear, suspense and violence"
Michael Smith's first novel No Man Dies Twice is an enthralling psychological thriller set in wartime Germany and based around a British plot to kill Hitler. Inspector Peter Ritter, an anti-Nazi detective in the small Bavarian city of Rosenheim, finds himself involved in a bitter turf war between conflicting factions within the British secret services that spill out into a series of bloody murders. 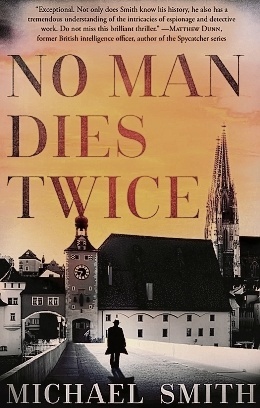 New York Times best-selling author Sebastian Rotella has described No Man Dies Twice as "a powerful debut full of fear, suspense, violence and geopolitical machinations" and compared it to the historical spy fiction of Alan Furst and Joseph Kanon. Joseph Heywood, bestselling author of The Domino Conspiracy, said: "Michael Smith has crafted a riveting murder mystery set in small town Bavaria during World War II. Smith takes us into an area of wartime Germany we have rarely read about before, and into the lives of characters torn by the choices war visits on individuals. A great read for all mystery buffs and World War II afficionados." Former MI6 officer Matthew Dunn, author of the best-selling Spycatcher novels said Smith's new book is "Exceptional. 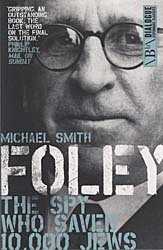 Not only does Smith know his history, he also has a tremendous understanding of the intricacies of espionage and detective work. Do not miss this brilliant thriller."